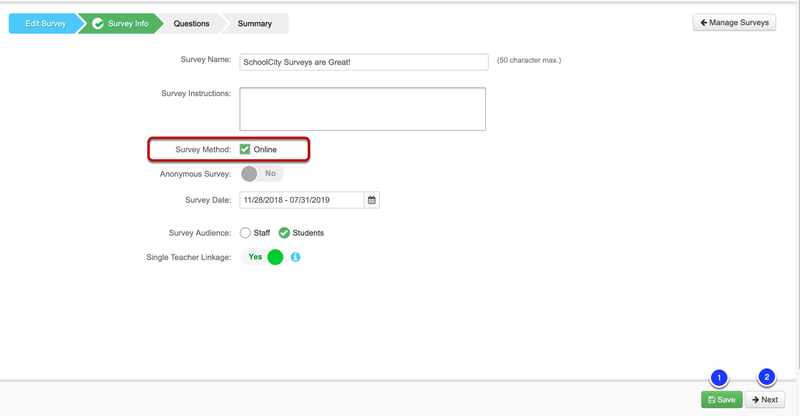 In this lesson, you will learn how to edit or change an existing survey. In the navigation panel, select Surveys. Find the survey to edit and select Setup in the Functions menu. 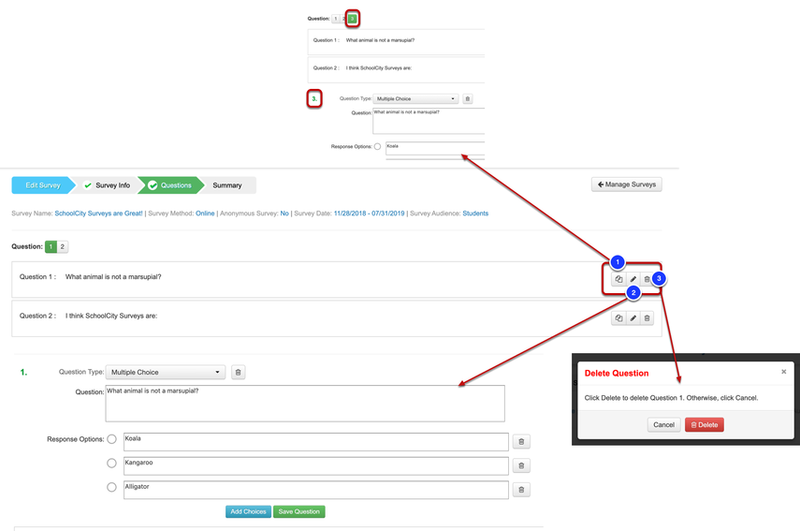 Setup will allow to edit and update information on Survey info, Questions, and Summary. Most information about the Survey info can be changed or edited, except for the Survey Method, or how the survey will be distributed. This cannot be changed once a survey has been created. Next to move onto the next step. Review the Questions on the survey and edit accordingly. To make a duplicate of an existing question, select Copy. To edit and change a question type, question, and response options, select Edit. To delete or permanently remove a question from the survey, select Delete. Continue to add questions to the survey if needed, by selecting Add Question. To return to Survey info, select Previous. To continue editing the survey, select Next. Review and edit survey settings as needed. All Summary settings can be modified or changed in an unpublished survey. Select Save to save changes and keep the survey unpublished. To distribute the survey, select Publish. Conduct an Online Preview before Publish! See what your target audience will experience by using Online Preview. In just minutes, you can review how the survey will interact with students or staff. This is a great way to proof read your work and make any changes prior to publishing. Select Manage Surveys to return to the Manage Survey landing page. Now that you have edited and refined your survey, review available Survey Functions.